Don't Let the BLM Frack Public Lands in Central California! The Trump Administration recently announced that it wants to allow fracking and other oil development on 1.6 million acres across Santa Barbara, Ventura, San Luis Obispo, Kern, and neighboring counties. These parcels could be auctioned off by the federal Bureau of Land Management for as little as $2 per acre, and they’re located on or adjacent to schools, state parks, city-owned nature reserves, lands adjacent to the Los Padres National Forest and Carrizo Plain National Monument, and other key landmarks we all hold dear. It’s hard to believe, but the BLM’s data even shows places on The Thacher School campus, across the street from Los Osos Middle School, on lands owned by the Ojai Valley Land Conservancy, on state parks like Point Mugu and Montana de Oro, inside the Carrizo Plain Ecological Reserve, and directly adjacent to the San Rafael Wilderness. These are just a few examples of the outlandish proposal the agency is trying to analyze as quickly as possible without simple due diligence. Click here to find lands threatened near you. Many of the parcels are on or adjacent to popular recreation and environmentally sensitive areas including the Los Padres National Forest, Carrizo Plain National Monument, Lake Lopez, Lake Nacimiento, Reservoir Canyon and Irish Hills Natural Reserve, Rancho Santa Rita and Ojai Valley Land Conservancy's Ilvento Preserve, Hopper Mountain and Bitter Creek National Wildlife Refuges, and Wind Wolves Preserve. Astonishingly, the BLM hasn't even directly notified those who own the surface land above what it seeks to auction off oil companies. Read more about the proposal and specific targeted areas here. The plan is part of a review that the BLM announced in August to evaluate the environmental and public health impacts of allowing drilling and fracking across 1.6 million acres of land throughout central California. Hundreds of fracking chemicals are known to be toxic to humans and wildlife, and several are known to cause cancer, according to several peer-reviewed studies by scientists and state regulators. A 2015 report from the California Council on Science and Technology highlighted these risks. National forests, monuments, and wildlife refuges and preserves harbor sensitive ecosystems and wildlife, protect important watersheds, and are places of recreation. They deserve closer scrutiny to evaluate if fracking is appropriate near these areas. Urge the BLM to allow for a fair comment period, to conduct a thorough review of fracking and its impacts on water, air, wildlife, and recreation, and to restrict oil development that impacts public lands. Drilling and fracking near key sites like schools, conservation lands, state parks, national forests and monuments, state ecological reserves, and city-owned natural reserves is inappropriate and incompatible with how local residents use and enjoy these lands. If you have spent time at any of the targeted locations, please mention that in your letter and how fracking and drilling would interfere. 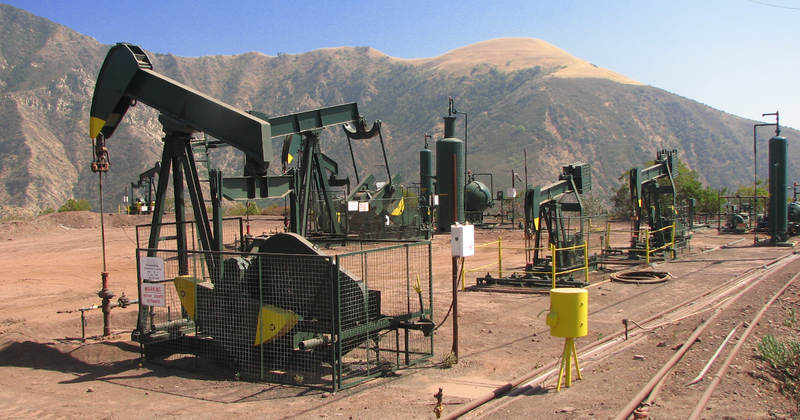 Tell the BLM to restrict fracking on public lands in central California! I value Los Padres National Forest, Carrizo Plain National Monument, conservation lands, state parks, and national wildlife refuges in central California for the unique plants and animals they harbor, for the watersheds they protect, and for the recreation opportunities they offer. I also care deeply about our children and their schools. Fracking and oil drilling are inappropriate and incompatible with how local residents use, enjoy, and protect these special and sensitive places. It causes noise and air pollution. Chemicals used in fracking, including several known carcinogens, are toxic to humans and animals. Fracking has polluted surface water and caused irreparable harm to aquifers. Fracking has caused increased seismic activity. All of these impacts threaten the health of our children, can harm sensitive ecosystems and endangered plants and animals, and can hinder recreation on public lands. The public was not provided with an accurate map of the parcels proposed for auction, and surface rights owners have not been properly notified. For these reasons, the public comment period must be extended. As part of the Supplemental Environmental Impact Statement, I urge you to use the best available peer-reviewed science to conduct a thorough and transparent evaluation of all known impacts that new fracking and oil development may have on wildlife, water, and public recreation on federal public lands in central California. At the conclusion of the analysis, I hope you will amend your management plan to impose additional restrictions on fracking and oil development that would apply to some or all of the 1.6 million acres of land currently open for new oil leasing, appropriate to the threat posed to water, wildlife, and humans. In addition, I hope that you will apply special lease stipulations for lands on or adjacent to schools, national forests, monuments, and refuges to better protect children, and the resources that make these places so treasured by the public. Thank you for taking my concerns into consideration. Thank you for letting the BLM know that your public lands deserve to be protected from the impacts of fracking.